INDIA - Too little, too late. That was the Indian PR industry's take on Nestlé CEO Paul Bulcke's appearance at a press conference in an attempt to diffuse the damage caused by the Maggi noodle scandal that has engulfed the firm. Concerns over the safety of products have been rumbling on for the best of a part month, yet this was the first occasion the global powerhouse had presented a "human face" to share its views. Until then it had relied on short press statements, which were then clumsily presented on social media, usually in PDF form. So why was Nestlé’s communications strategy so sluggish and what should have been done differently? 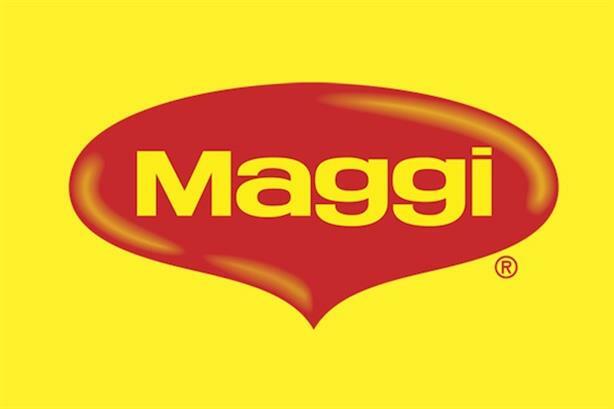 According to Integral PR chairman Sharif Rangnekar, Maggi suffered due to its dominance in the market. "I have seen several brands failing to engage with key stakeholders once they develop a 'trust' among consumers and virtually hold the market to ransom. This is when many brands stop engaging with government and other authorities that matter. As a result, they have no 'friends' or any 'advance warning' that can change the status quo." In 2012 major newspapers wrote about the potential health risks of fast food products in India. Two years ago, similar reports emerged but didn’t lead to any government action or public outrage. "Probably this was the time that brands like Maggi should have taken note that the ground they are standing on can change," he added. In addition to a lack of longer-term planning, Nestlé’s short-term response was also sorely lacking, added Eastwest PR’s India director Sanjay Bose. "In an industry that is prone to a crisis – and the food industry certainly is – there is something like the ‘golden hour’ where you need to do something as soon as possible or lose your life. I think Nestlé lost precious, critical time in just getting themselves to take stock of the situation and plan a strategy rather than being prepared and facing up to the situation from the word go. The moment you give room to speculation, you are doomed-the best bet is to nip it in the bud-the faster, the better." Nestlé also failed to get to grips with the problem on social media, with Twitter users ridiculing their blanket statements and lack of interaction. This was compounded, said Rangnekar, by social media users picking up on other statements made about the company in the past, most notably criticisms over its baby milk. "While all of these may be out of context or lack perspective, the fact is that it can hurt," he added. Bose, meanwhile, believes Nestlé failed to do the basics and let critics fill the vacuum. "The media needs to be given the correct perspective rather than being given an opportunity to speculate," he argues. "Nestlé has been giving knee-jerk responses rather than a planned approach." It also appears the company failed to target key journalists, opinion formers or distribute evidence to back-up its claims that its products were safe – most probably because lawyers were restricting the communications response. "I have always felt that most companies bank a lot on legal advisors who generally complicate matters further by a stringent list of do’s and do not’s," Bose added. "Half the job is done when the company officials show a human face to the situation rather than a robotic way of defending itself." Even when it did front up to the cameras, the messages being released around Maggi appear mixed. CEO Bulke had to try and justify why, if Maggi noodles were safe, the firm had decided to withdraw them from sale. According to a Nestlé’ statement, this was "because recent developments and unfounded concerns about the product have led to an environment of confusion for the consumer". It added: "We have decided to withdraw the product off the shelves, despite the product being safe". Bulcke said he was confident the product would soon be back on the shelves, but Bose believes this strategy has served only to further fan the flames of suspicion. "I think that the news about the company withdrawing Maggi noodles from sale in India due to ‘an environment of confusion for consumers’ is a very bad decision. This has only helped to fuel the fire more." The solution, believes Rangnekar, lies in Nestlé taking a more open approach with the Indian government and regulators. This will also need to be extended to its communications response, something that will be easier said than done for a company not known for its proactive media engagement strategies. "Nestlé must see the writing on the wall and should participate in a solution with the government rather than dismiss all that has happened. The solution may change a few ingredients in what they make, but also may prove what has happened so far is an aberration." With the authorities in several other countries announcing they are also carrying out tests on Maggi noodles, it may well be a strategy that has to be rolled-out wider than just India.